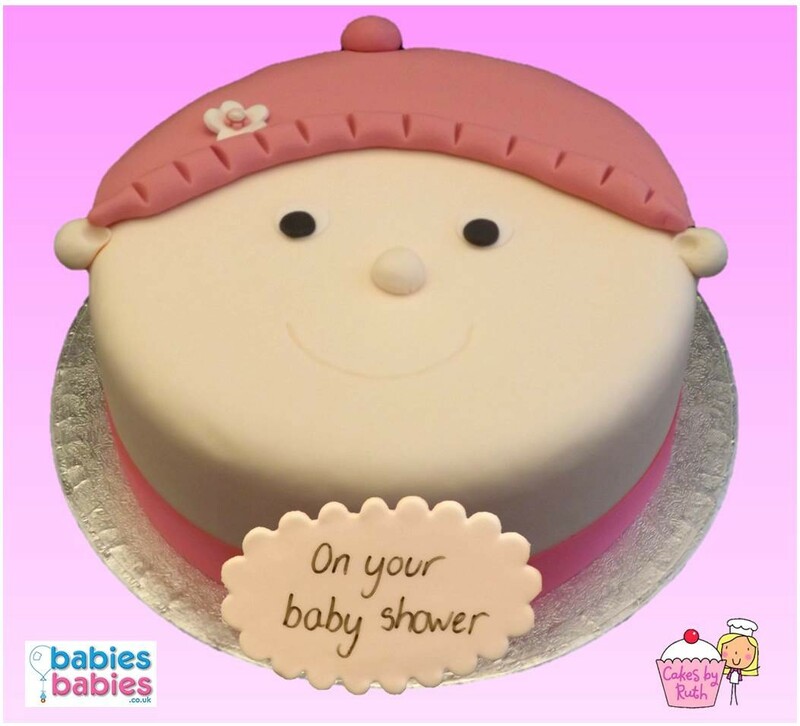 A cute edible baby shower cake iced with a pink hat if you know the baby is a girl. As all our cakes are hand made locally by our bakers they can ice on a name or wording of your choice. We can even supply printed ribbon for wrapping around the cake to make it extra special.